Jeremy Corbyn described the new political declaration document on the UK’s future relationship with the EU as “waffle” today. Responding to the Prime Minister’s latest Brexit statement, the Labour leader said the deal was “a result of bungled negotiations” and “26 pages of waffle” that failed to meet Labour’s six tests. 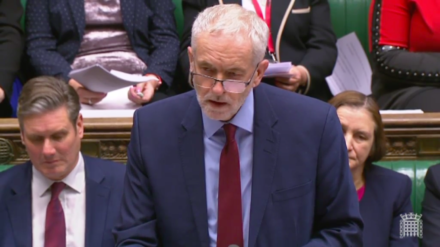 “This empty document could have been written two years ago,” Corbyn added, pointing out that it is “peppered with phrases the parties will ‘we will look at’ or ‘we will explore'”.